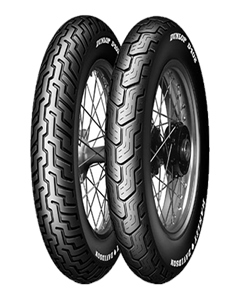 The Dunlop D402 is the only tyre approved by Harley-Davidson® for its touring bikes, we wouldn’t recommend going touring with anything else. Clever computer designed tread profiles give you confidence over the slippery stuff like rain grooves and steel grates and reduce cupping so the tyre wears evenly. A three-ply polyester casing with two fiberglass belts mean that no matter how much luggage you pack, the D402 will get you there in style.